Texas residents may not be aware of the long term effects that DUI-related felony convictions can have on their ability to find new jobs or remained employed. The truth of the matter is that DUI convictions will follow a person for a long time to come. Overall it will impact everything job-related in the future. In this blog post, brought to you by Starr Law Firm. We are going to highlight DUI and your ability to be employed. Are you currently wondering whether or not you will be able to hide your DUI conviction during your next job interview? Perhaps you are thinking that this is something that you do not need to disclose. This is something that many people may think, but could not be further from the truth. Truthfully, a DUI conviction or charge will always come to light during the interviewing process due to the background checks that will likely be performed. If you are considering hiding your conviction; do not. It will look worse if a person tries to hide or lie about their DUI charges or convictions. And this deception can cost you a job faster than the DUI itself. It’s possible for these convictions to make an employee too wary to hire a person. In some cases, they simply won’t hire someone with a DUI. When you are convicted of a DUI it can haunt your employment for 7 years, which is a very long time. Unfortunately, many jobs will make judgments against people with DUI-related convictions or charges. Because of this, it is important to realize that DUI convictions will cause your life to change and you need to be prepared for this change. 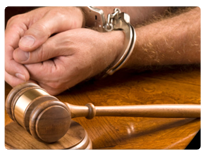 If you are currently facing DUI charges you will need the assistance of an attorney. Because if you are convicted your entire life will be changed up-side-down. When you are facing a conviction, you need a lawyer who is willing to fight or you in a way that he or she would fight for themselves. 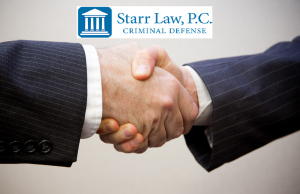 The only law firm willing to give that level of dedication to their clients is Starr Law, P.C. Contact us today for your free consultation where we can learn more about you and your case, and you can learn more about us and our services. For more information, please contact us at 214.982.1408 or visit our visit our website here.